Would you know how to turn off your water heater if there was an emergency? 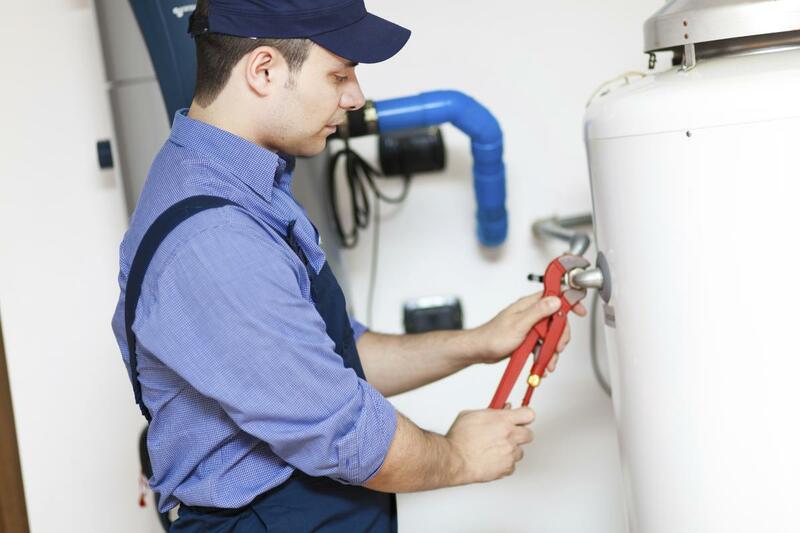 If you notice your water heater overheating, making unusual sounds, or running in a manner that causes alarm, there’s something you need to do before you call for emergency water heater repair in Sunrise Manor. You need to turn the water heater off. Allowing the water heater to run when it’s not working well can lead to leakage, flooding, and other hazards. The following instructions are good for both gas or electric water heaters. Your heater should have a diagram on the tank that will point out where each of the parts are that we discuss below. This is an important first step to avoid electrocution. Gas-powered unit, you’ll need to twist the thermostat dial from the ON position to the OFF position. Electric water heaters are controlled by the circuit break. Find the switch labeled for the water heater and turn it OFF. You don’t have to shut off the water to the whole house if you can find the water valve on the appliance. You’ll turn the heater’s water valve clockwise until it stops. If this doesn’t stop the water, then go ahead and turn off the main water supply to the whole house. Homeowners may want to drain the water heater before a Sunrise Manor plumber arrives at the home and open the relief valve. We typically advise our customers to let the professionals handle these steps, especially if you’ve never done these before. The relief valve will release scalding hot water that cause severe burns, which is why it’s usually best to leave this to a licensed plumber. When you need emergency water heater repair in Sunrise Manor, NV, call the #1-rated residential plumbers for repair and replacement service. Sunrise Manor Swift Plumbers are committed to get to your home fast – 90 minutes or less – and providing superior workmanship at rock-bottom prices. Call now to get an emergency plumber to your home today! How often do you think about drain cleaning in your home? We bet that unless you have a problem, you don’t give it much thought. That’s okay. You’re not alone. Most people don’t think about the upkeep of their drains. At Sunrise Manor Swift Plumbers, we know that most plumbing problems can be avoided when they are identified and fixed early. Preventive drain cleaning and maintenance services provided by a local drain cleaning company in Sunrise Manor, NV, like Sunrise Manor Swift Plumbers can protect your plumbing system and save homeowners a lot of money. Surprises are great, but only if they involve presents and fun times. What isn’t a great surprise? That would be a clogged toilet right before guests arrive for Thanksgiving dinner or when the sewer line busts at three o’clock in the morning. By hiring a drain cleaning plumber to perform regular drain cleaning services, small problems that are caught early are more manageable. Avoiding emergency plumbing issues will always save you a lot of money. Dirty drains hold moisture. When moisture is present, mold can form. Mold is a fast growing substance and won’t stay concentrated in the drains and pipes for long. Eventually, it will spread and can create health problems for anyone in the household. Mold can also cause structural damage and weaken your pipes. Homes in Sunrise Manor may have large, mature trees with roots that can grow into sewer lines. 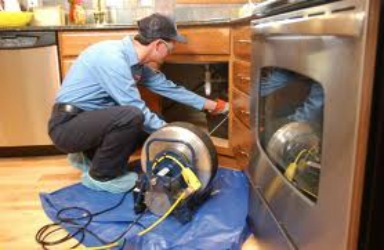 Part of our preventive drain cleaning services include the use of a drain inspection camera. 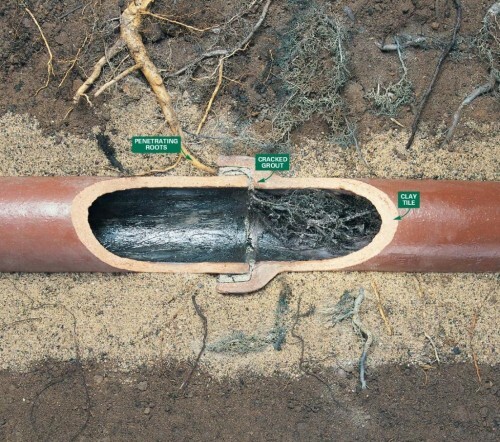 This high-tech tool can identify if roots are growing into the pipe or if there are cracks and other damage in the line. To learn more about the benefits of hiring a drain cleaning company in Sunrise Manor, NV, for preventive maintenance services, give us a call today! There are certain plumbing maintenance tasks that homeowners can do on their own. However, sewer line repair is not one of those because it requires knowledge and expertise, which are what the experts at Sunrise Manor Swift Plumbers have. We specialize in providing plumbing services include sewer line repair to residents of Sunrise Manor, NV. Our plumbers can handle any type of sewer line problem including sewage backup, leaks, and blockage. One of the most effective solutions for blocked plumbing is drain cleaning. If this fails, you may be forced to change a section or the whole of the sewer line. We can help you check for signs that indicate that your sewer line requires repair or replacement. Leaking sewer lines or pipes is one of the most definitive signs that your sewer line requires repair or replacement. Leaks often appear at the joints of the pipes. You should call Sunrise Manor Swift Plumbers if you suspect that tree roots have invaded your sewer lines. Bellied pipes with sections of the pipe on a higher ground level than the other should also be a sign that you need to call your plumber. Corroded, blocked, and old sewer lines should be repaired or replaced. Our plumbers are trained to use various techniques including video plumbing to detect the exact location of a sewer line problem. Video plumbing allows us to take images and videos of sewer lines for review. This technique uses a video camera that comes with a transmitter to determine the exact location of the sewer line including its depth from the surface. This allows us to perform proper sewer line repair and replacement. There are two main sewer line repair and replacement options: The traditional method that involves digging trenches, finding the sewer line, and repairing or replacing it and the more modern approach called trenchless sewer line repair or replacement. The type of sewer line repair or replacement method that we use is determined by the state and configuration of your pipes. Sunrise Manor Swift Plumbers is the go-to plumbing company in Sunrise Manor. Call us today to learn more about our sewer line repair and replacement methods. Let’s Talk About Water Heaters! Has your water heater been acting funny lately? Have you heard it making strange, knocking sounds when it is not running? Is your water smelling peculiar? Is taking a hot shower becoming harder and harder? If you’ve answered yes any or all of these questions, then it may be time to call for water heater repair and inspection services. 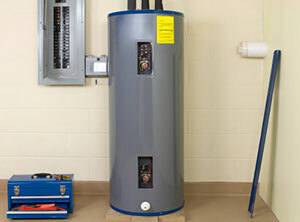 A household water heater is a plumbing appliance that is used on a daily basis. As unassuming as it may be, it works hard day and night to keep your water warm. Regular usage can create wear and tear, which eventually can result in water heater failure. If your water isn’t heating as well as it used to, a qualified plumbing contractor may be able to recommend simple repairs to get it back up and running again. Unfortunately, household water heaters do not last forever. If you own a conventional storage tank water heating system, you can expect to get anywhere from 8- 13 years of good service out of the appliance before it begins to breakdown on a regular basis. Alternative heating systems like tankless water heaters and solar water heaters can last twice as long because they do not endure wear and tear like conventional water heaters. If you need a replacement heater, a certified plumbing contractor can recommend models that meet your usage requirements and are also ENERGY STAR rated. These types of appliances use less energy overall, which can lead to reduced utility costs. Repairing and replacing water heaters can be expensive. This is why it is important to hire qualified plumbing contractors to perform routine inspection and maintenance services. Water heaters that are drained and cleaned on an annual basis tend to last longer and have fewer problems. This saves you money and reduces stress. At Sunrise Manor Swift Plumbers, we offer routine maintenance services at affordable rates to help households keep their water heater working longer and to avoid expensive repairs. Routine maintenance can also help keep your appliance’s warranty valid. Some warranties become null and void if an owner fails to properly maintain the appliance. Give us a call today to discuss your water heater repair and replacement needs!